This sweet and tangy pound cake bursting with fresh lemon is absolutely scrumptious! Preheat the oven to 350 degrees. Grease bottom and sides of two 9 x 5-inch loaf pans; dust with flour, tapping out excess. 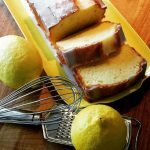 LEMON LOAF: In a medium bowl, sift together both flours, baking powder, baking soda, and salt; set aside. In the bowl of a stand mixer fitted with the paddle attachment, on low speed combine sugar, eggs, lemon zest, and lemon juice. With the mixer still running, drizzle the butter into the bowl. Add the sour cream and vanilla and mix to combine. Transfer the mixture to a large bowl. Remove bowl from mixer. Sprinkle in the flour mixture over the batter, one third at a time, folding gently after each addition until just combined. Do not over mix. Divide the batter evenly between the prepared pans. Bake in the center of the oven for 20 minutes, rotate the pans, reduce the oven temperature to 325 degrees and bake for another 30 to 35 minutes, or until a toothpick inserted in the center of the loaf comes out clean. Let cool in the pans for 15 minutes. LEMON SYRUP: While the loaf is cooling, make the lemon syrup in a small saucepan over medium heat. Stir together the lemon juice and sugar until the sugar is completely dissolved. Once dissolved, continue to cook for 3 more minutes. Remove from the heat; set aside. Remove loaves to a wire rack on top of a baking sheet. Use a toothpick to poke holes in the tops and sides of the loaves. Brush the tops and sides of the loaves with the lemon syrup. Let the syrup soak into the cake and brush again. Let the cakes cool completely. 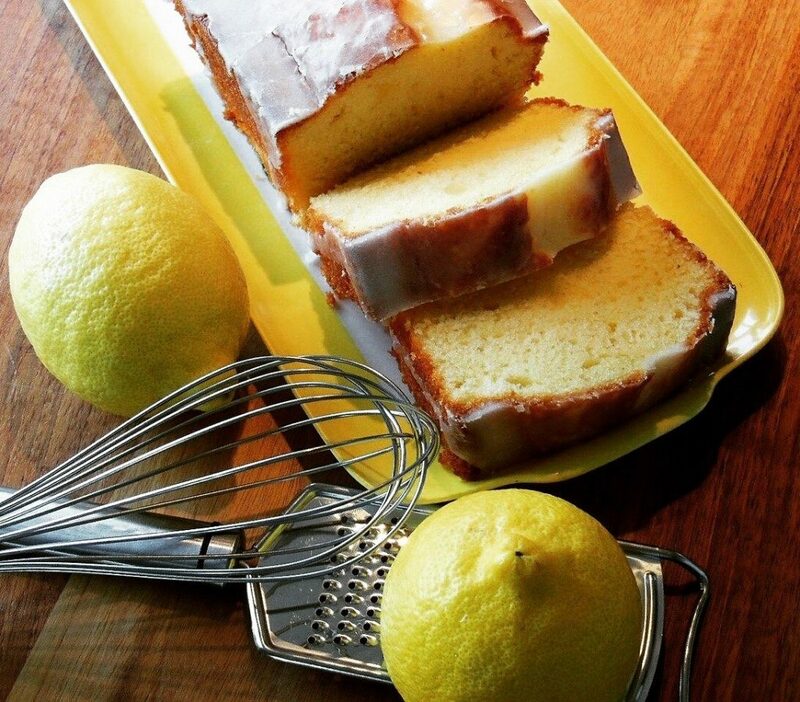 LEMON GLAZE: In a small bowl, whisk together the confectioners’ sugar and 4 tablespoons of the lemon juice. The mixture should be thick but pourable. Add up to another tablespoon of lemon juice if the mixture is too stiff.